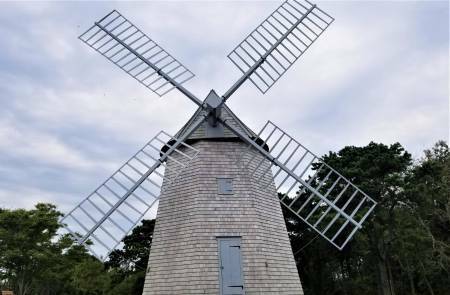 The Chatham Windmill, otherwise known as the Godfrey Windmill, was built in 1797 by Col. Benjamin Godfrey. Listed on the National Register of Historic Places, it's one of the state's few surviving wooden windmills, and one of the few to be still functional. It sits in a park, near bed and breakfast inns in the heart of this colorful seaside town. Open for tours only from 11 to 3 on Mondays, Wednesdays and Fridays in July and August. Or by appointment. There are also special occasions on which the mill is actually used to grind corn.